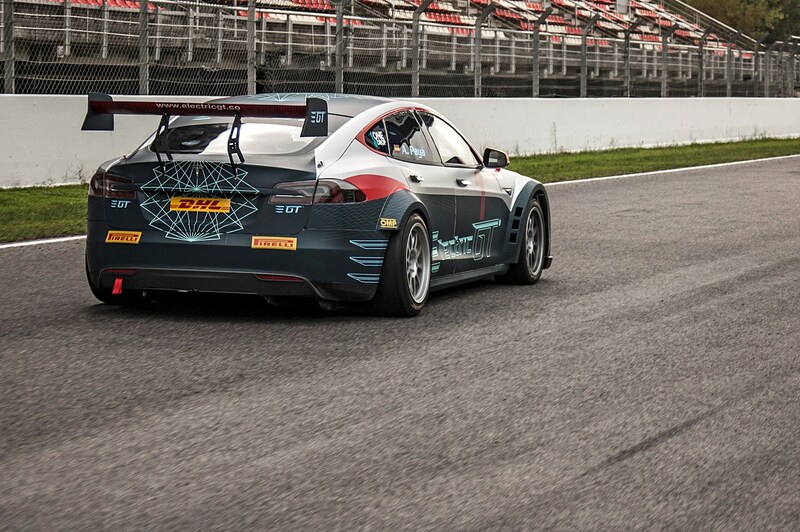 Meet the first racing-spec Tesla Model S that’ll compete in the Electric GT series. 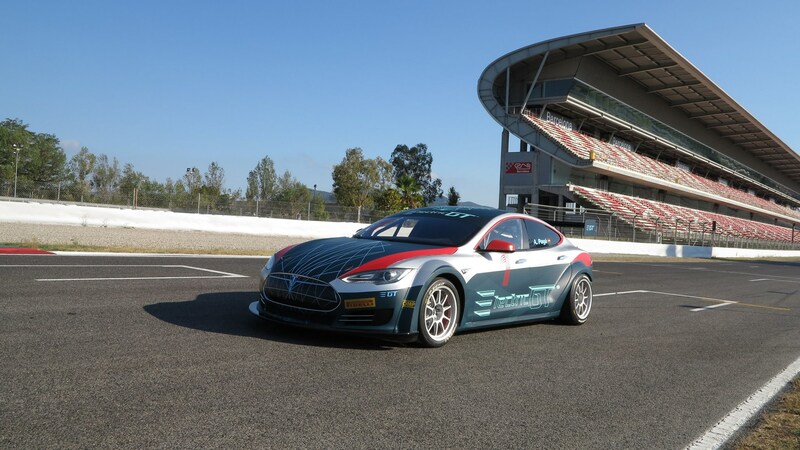 When the Electric GT championship starts in October this year, there’ll be a grid of identical, tuned 778bhp Tesla P100DLs, but this one belongs to SPV Racing. Along with a total of 778bhp, we’re told each Model S will produce 734lft ft of torque, and launch from 0-62mph in just 2.1 seconds. A massive wing should help keep that power on road, too. 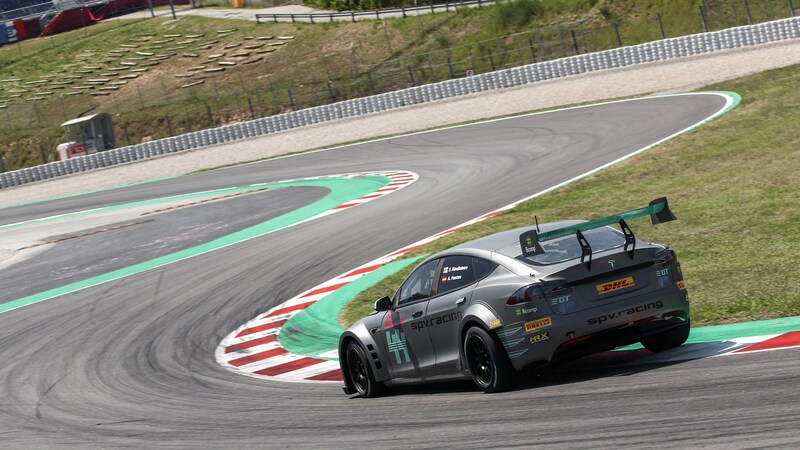 Keep reading for more information on the Electric GT championship. 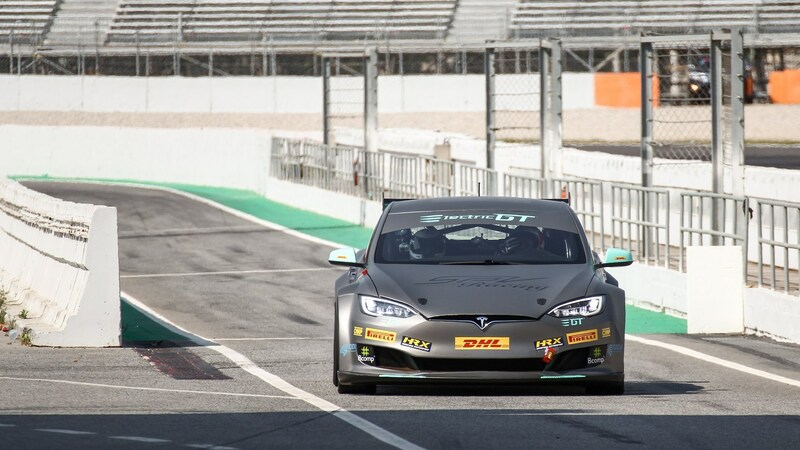 Up until now the Formula E single-seater championship has been the international face of electric car racing - there hasn’t been an alternative EV series for tin-top racing fans. 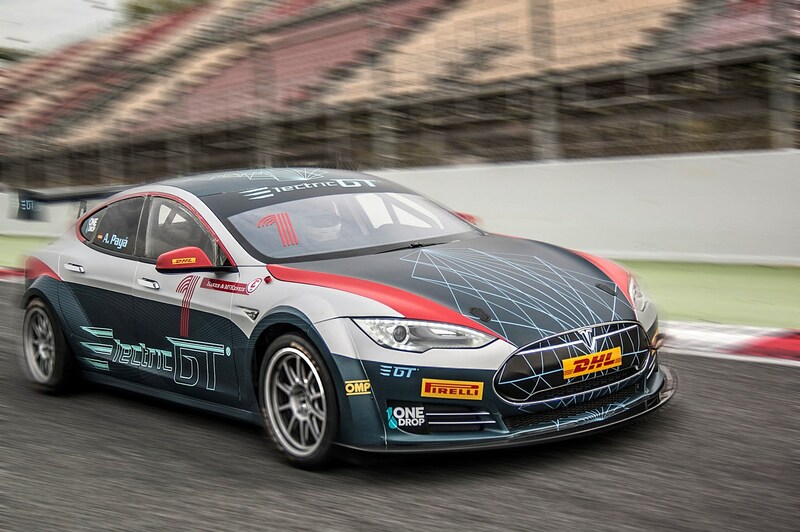 That’s about to change, with a new racing series for identical Tesla Model S cars. Run by an organisation called Electric GT, the new championship is named (slightly clunkily) the Electric Production Car Series (EPCS). The series was originally planned to kick off in 2017, but a series of delays has pushed its debut season to 2018. As of 1 February 2018, however, the series has been granted official approval as an FIA-sanctioned series by the governing body for global motorsport, so it’s edging closer to getting fully off the ground. The car has also passed an official FIA crash test. A championship calendar is yet to be fully confirmed, however, and so far only one team has officially committed to the series, so there’s still some way to go. Jaguar is launching its own ‘e-Trophy’ championship for its electric i-Pace car later in 2018, which will run as a support series to the Formula E championship. So Electric GT is only for Tesla cars? The series is designed around identical Tesla Model S P100D cars, the twin-motor version of Tesla’s saloon. Note the lack of Tesla’s name in the series’ title – the series isn’t organised by, or strongly affiliated to, Tesla the car company. But the Model S has such a strong following, its use gives the series a little extra potential marketing muscle. The cars are being converted for racing purposes and developed by Spanish outfit Campos Racing, which has a background in high-level single-seater racing, including Formula E, and the World Touring Car Championship. With a 100kWh battery, 734lb ft of torque and as much as 500kg cut from the kerb weight and slick tyres supplied by Pirelli they may be able to get from 0-60mph in as little as 2.1 seconds. Brakes are by Alcon, the bodywork is predominantly composite and a large front splitter and rear wing will supply some downforce. Wider tracks and arches house double-wishbone pushrod suspension. The stripped interior still retains the Tesla’s hallmark giant touchscreen. 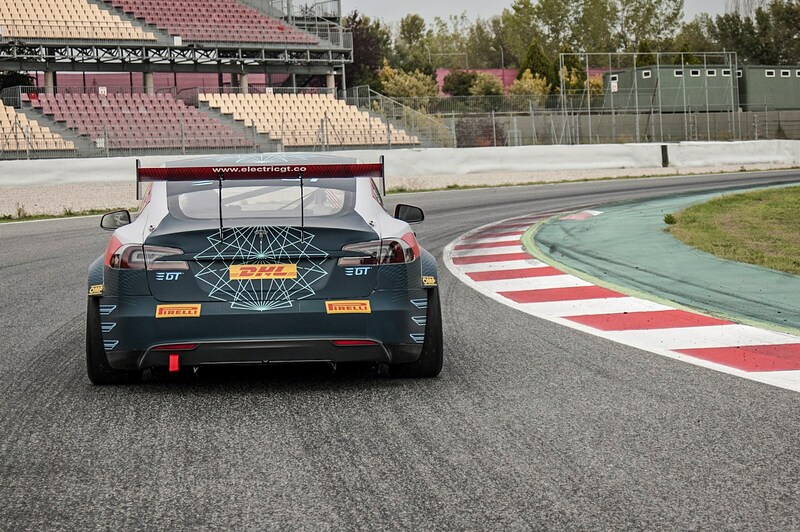 How does the Electric GT racing work? 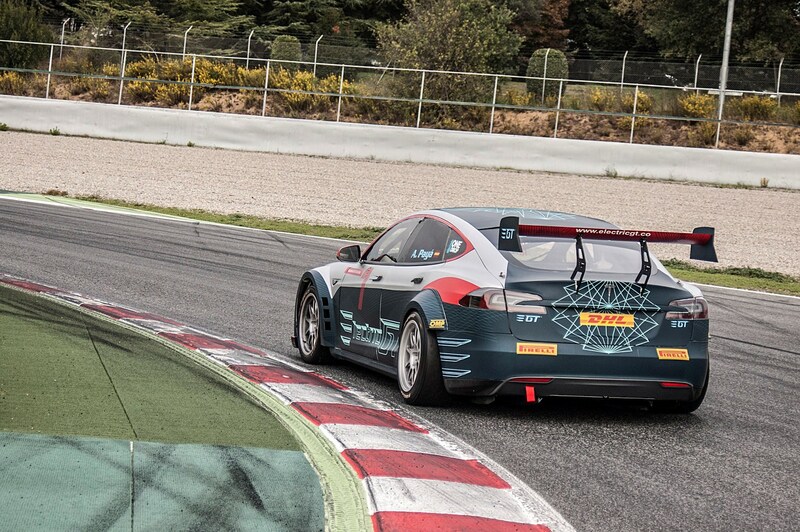 While Formula E and the Jaguar i-Pace eTrophy race on street circuits, the Electric Production Car Series will race on conventional motorsport tracks. Following short qualifying heats to set the grid, there will be two main feature races at each round: one day race and one dusk race, each over a distance of 60km (37 miles), and lasting around half an hour. Two titles will be awarded at the end of the season: one for the drivers’ championship, one for the teams’ championship. Here’s a twist – at certain circuits, a ‘Drift-Off’ competition will follow the final race with the top two drivers plus two fan-voted drivers go head to head in sideways challenges. The winner of the drifting comp gets an extra three championship points. Only one team has currently officially confirmed its entry, SPV Racing, which has previously competed in LMP3 racing. It estimates its required budget to run two cars for a season, plus an additional one will cost between €500,000 and €3.3m, depending on sponsor input. 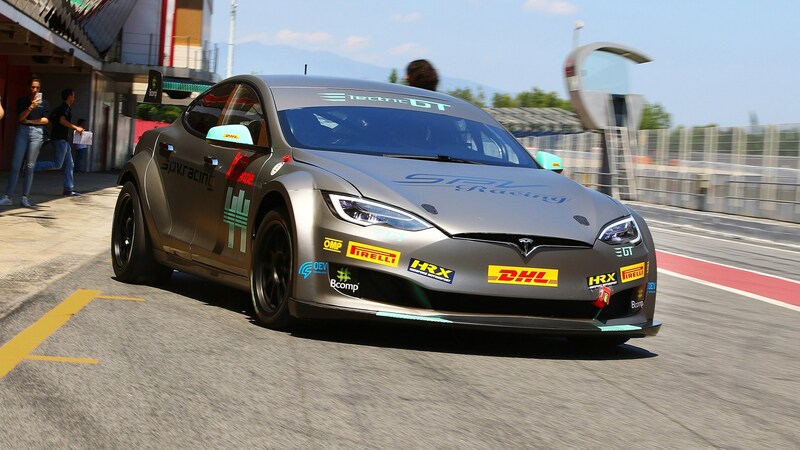 The Electric Production Car Series aims to compete throughout Europe, including a round in the UK, most likely at Silverstone. 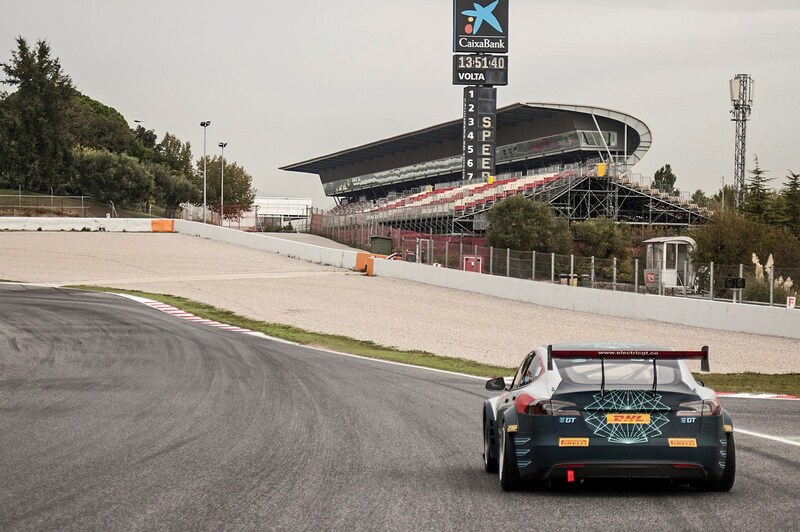 Each round will be a ‘festival of technology’, with various EV themed events between races including electric karting and eSports sim races in parallel with the real races on track.